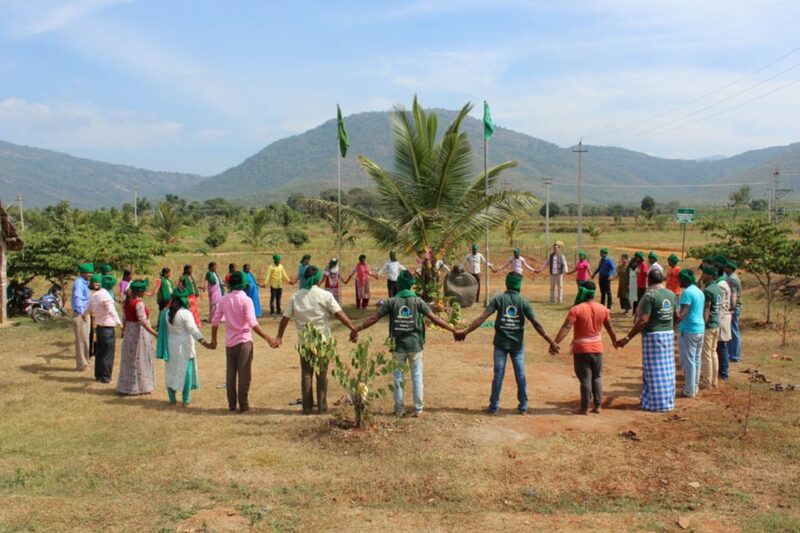 La Via Campesina South Asia, in its efforts to develop a cadre of young leaders that can take up work on agroecology in the region, recently concluded a regional agroecology youth training camp from Dec 14th to 20th at Amritabhoomi Centre in the southern State of Karnataka, India. 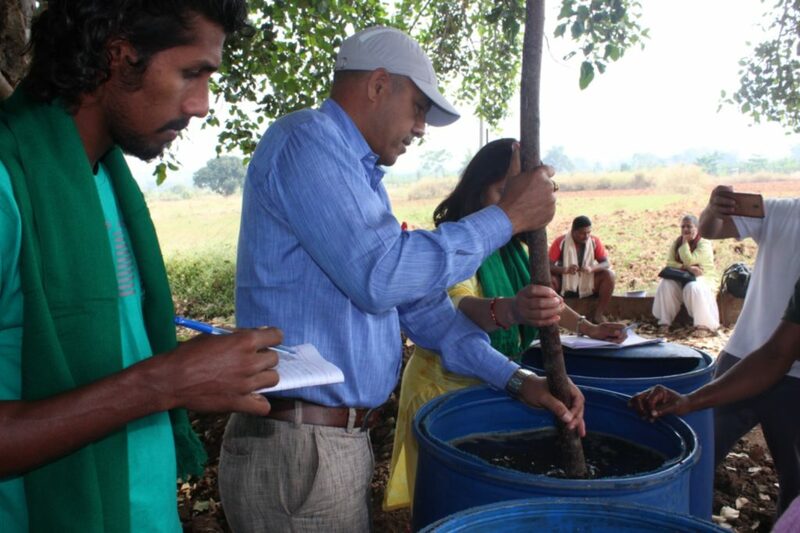 Young farmers from India, Srilanka, Nepal and Bangladesh actively participated in the week-long training. 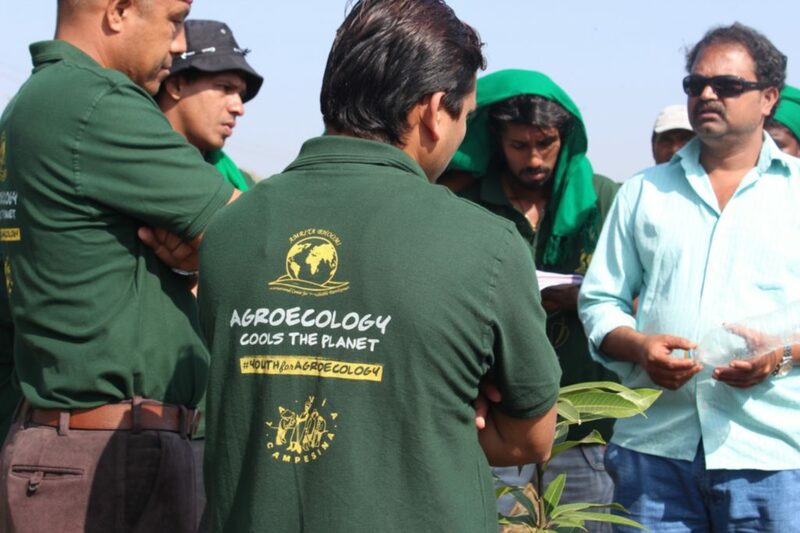 The participants got to learn about the basics of Natural farming and took part in hands on learning in the field, visited model ecological farms and visited the Andhra Pradesh state programme to learn about its agroecology transition program. The training camp was designed to accommodate class room training, participatory hands on learning, experiential sharing and field exposure visits. The participants discussed on a variety of issues affecting agriculture today; agrarian distress, young people moving away from farming, migration, corporate takeover of seeds and natural resources, impact of free trade agreements, advent of chemical and mechanized farming in the global south, unemployment among youth and so forth. 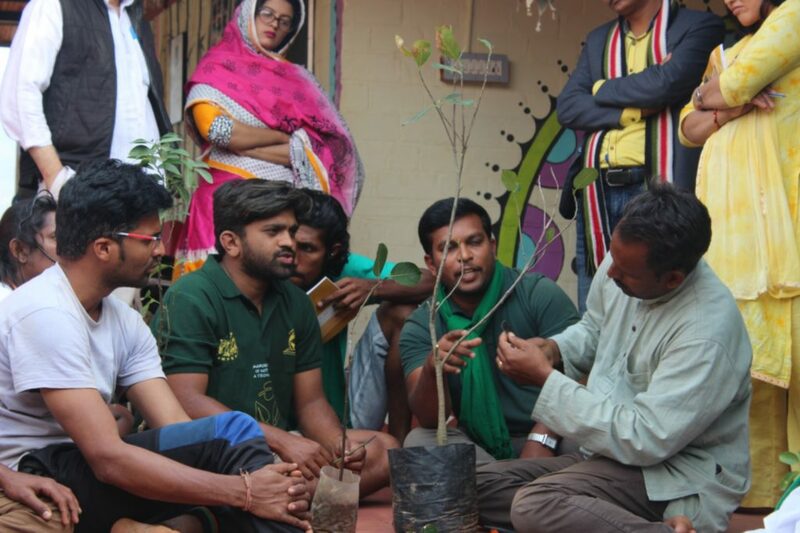 Role of agroecology and its importance to social movements, historical importance of agroecology in the struggles of Via Campesina, popular examples such as the Cuban agrarian reform, Brazil’s agroecological cooperative model promoted by MST and Indian Natural Farming models were discussed. 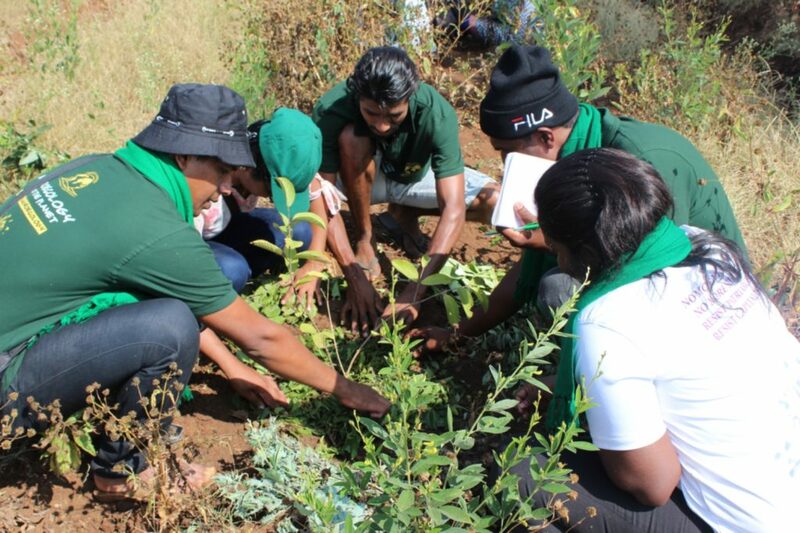 Participants were also engaged in practical lesson on Natural farming and various models and key principles of ecological agriculture. 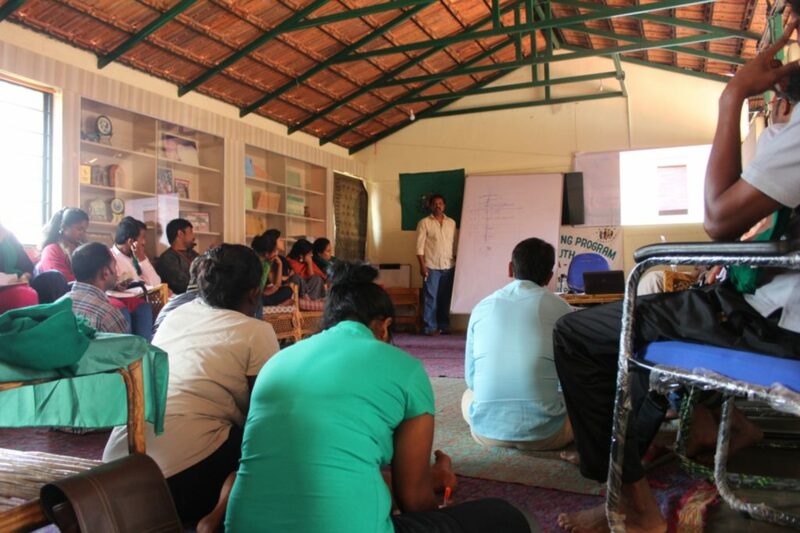 His session was mainly focused on Zero Budget Natural Farming (ZBNF) module and on the key elements involved in ZBNF. Young farmers engaged learnt and exchanged information regarding preparations of beejamrutha, jeevamrutha, ghana jeevamrutha, agniastra and other preparations used in natural farming. They also learnt about dry land horticulture and different techniques of grafting in horticulture crops. Classes were also conducted on various seed saving techniques. The training part at Amritabhoomi concluded with a felicitation ceremony for Mr.Rechanna and family by young farmers of South Asia, one the senior seed savers of KRRS who initiated a revolution among farmers by saving more than thousand varieties of rice, vegetables and pulses. In the closing mystica the young farmers took pledge to continue and take forward the legacy and work of people like Rechanna and hundreds of other seed savers. 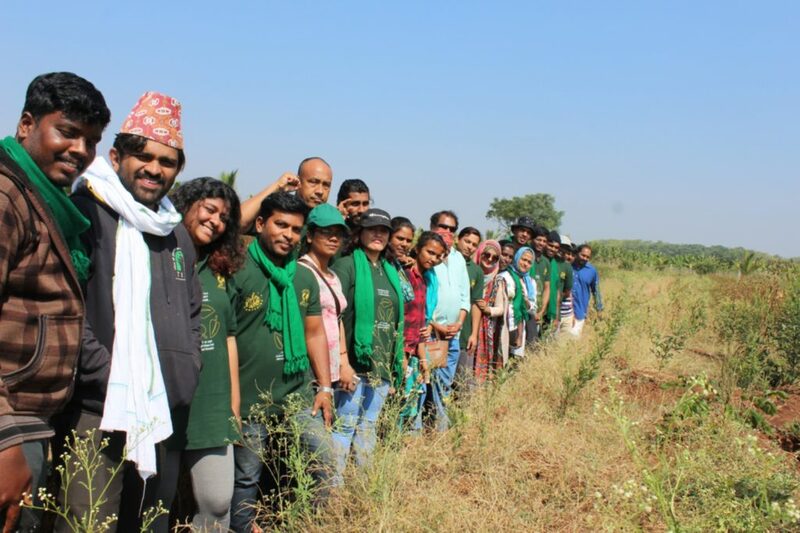 Participants also visited Anantpur, in the neighbouring state of Andhra Pradesh (AP), to witness several agroecological farms and the transition to to Natural Farming that is now being promoted by the State. The team of APZBNF and AF ecology centre of Ananthapur gave presentations, explaining the state policy and its ongoing implementation.